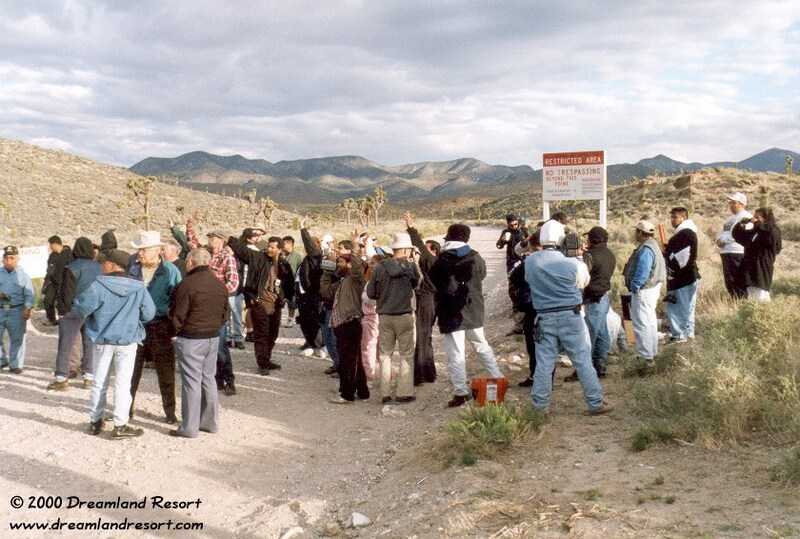 The Area 51 Peoples Rally was started by Norio Hayakawa and Anthony J. Hilder in 1998 to protest against the secrecy around Area 51, and the violation of environmental and other laws, which may have led to the death of several former workers at the base, and to expose global conspiracies, possibly involving human cloning. 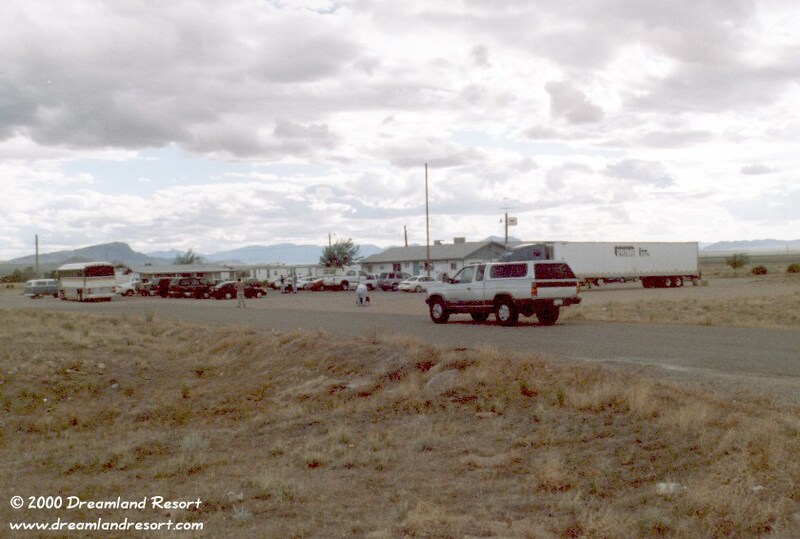 The 1999 Rally started on 6/5 at the Little A'Le'Inn in Rachel with a press conference and several presentations about topics like The New World Order, Global Government, Frankenstein Factories and others. The list of speakers included organizer Anthony J. Hilder, Ted Gunderson, former FBI agent-in-charge of the Bureau's operations in LA, Dallas and Memphis and Victor Camacho, Southern California's leading Spanish talk show host, who brought a whole bus load of Latino listeners to the event. 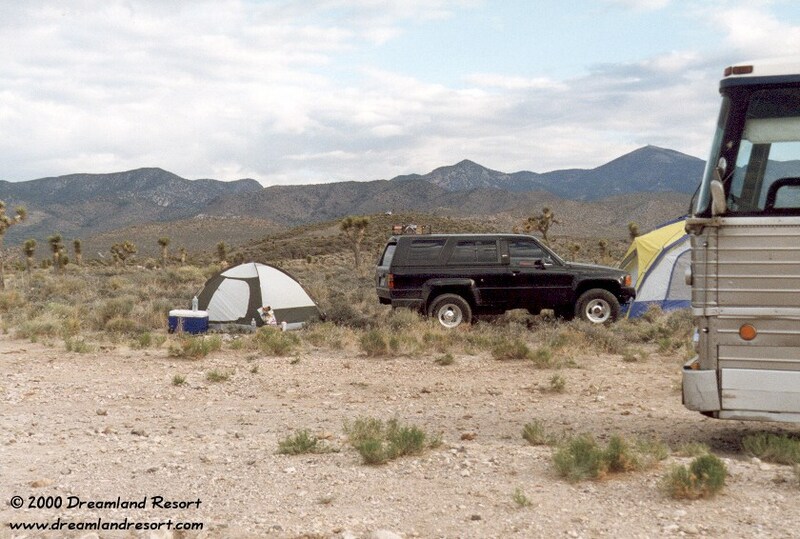 Early the next day, at 6am on 6/6/1999, about 200 people gathered by the signs on Groom Lake Road for the main event. 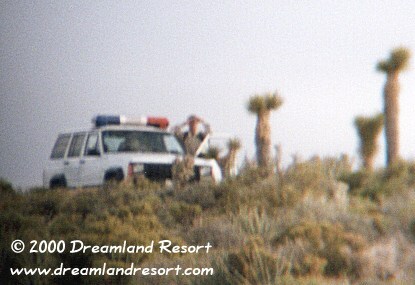 Hilder and others spoke about their demands to the authorities in charge at Area 51 to end the secrecy, while the cammo dudes watched the crowd from nearby hills. Thanks to the good organization there were no incidents, and the Rally ended peacefully with a brunch at the Inn in Rachel. Click here for a detailed report of the 1999 Peoples Rally by Anthony Hilder. Click here for information on the upcoming Area 51 Peoples Rally 2000. The parking lot of the Little A'Le'Inn in Rachel was full, and so was the restaurant. At times it was hard to even get inside to listen to the presentations. Some folks camped overnight near the border at Groom Lake Road, where the main event was scheduled. 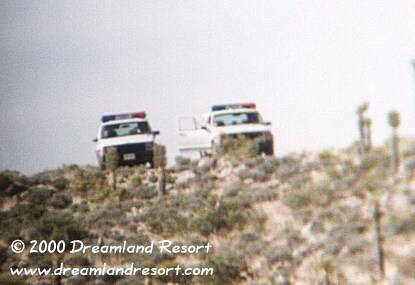 The main event of the Peoples Rally was held at 6am on 6/6/1999, right by the signs on Groom Lake Road. The crowd is waving to the cammo dudes that are watching from a nearby hill. 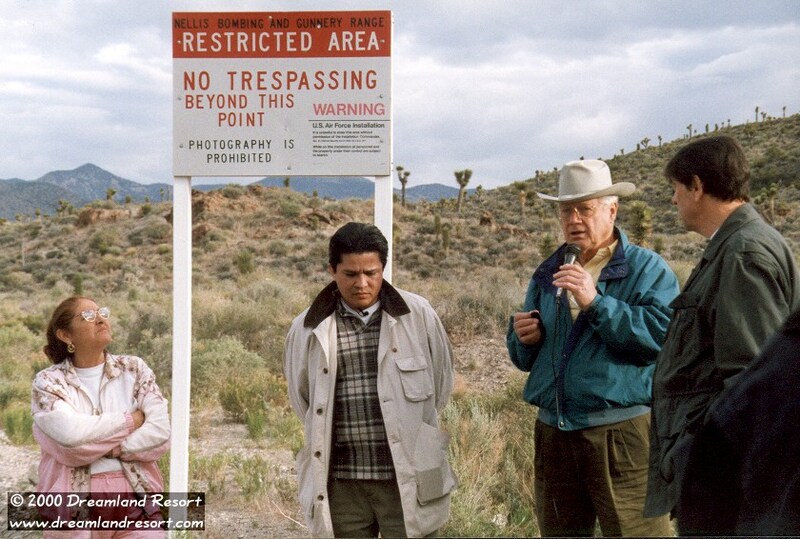 The speakers Victor Camacho, Ted Gunderson and organizer Anthony Hilder (left to right) at the main event in front of the warning sign on Groom Lake Road. The event was closely watched by our friends, the cammo dudes. Thanks to the good organization there were no incidents, and the event ended peacefully with a brunch at the Little A'Le'Inn in Rachel.